Eva Pils on the shrinking space China’s rights lawyers have to operate within. 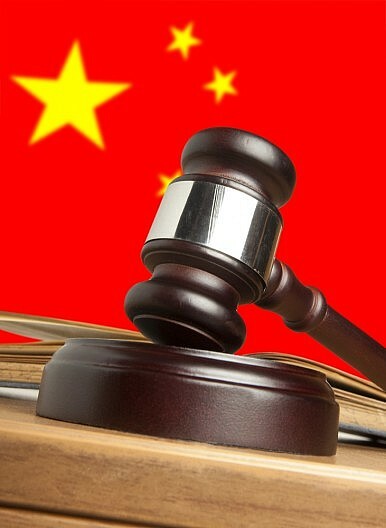 The detainment of over 200 human rights lawyers and legal activists in China in July 2015 garnered international headlines and sparked renewed attention on the status of rule of law in China. But what’s arguably more worrying for these ‘cause lawyers’ are the covert, methodological means with which the government has gradually limited their space for advocacy. In her book, China’s Human Rights Lawyers, Eva Pils draws on hundreds of interviews with rights (weiquan) lawyers in mainland China to explore the struggles of the Chinese legal profession under the country’s strict party-state control. The Diplomat’s Bochen Han interviews Pils, Reader in Transnational Law at King’s College London, about the intellectual, political and moral resources that China’s lawyers use to survive in an increasingly repressive environment. The Diplomat: What gave rise to the rights movement and how was it connected to the possibility of top-down, controlled and incremental rule of law reform in China? Pils: After Mao’s death, Deng Xiaoping’s promise of “Reform and Opening” was part of an effort to banish the ghosts of the Cultural Revolution, which had seen terrible lawlessness and devastation. The reconstruction of the legal system was a way of stabilizing governance. Law also served to reassure foreign investors – it created legally protected ways of trading, investing, and accumulating wealth. But, some citizens soon demanded political freedoms. When the government cracked down on the 1989 democracy movement, most of today’s rights lawyers were still in high school. Most of them started practicing in the late 1990s, full of hope that incremental reform through the law would succeed in opening China up where democracy movements had failed. In the early 2000s, there were a few successful cases – for example, the unconstitutional, rights-violating system of “custody and repatriation” was abolished following legal complaints. It seemed that with luck the authorities would eventually grant less controlled courts, better laws and better access to justice. These hopes were soon clouded. As early as 2004 the authorities decided that rights lawyers were a threat, too. In 2006 the authorities convicted and disbarred Lawyer Gao Zhisheng, dissolved his law firm, and denounced him so as to scare off other lawyers from following his example. In 2007, they abducted and brutally tortured him. He had tried to expose the torture of his “Falun Gong” clients through online open letters, and his torturers reportedly told Mr. Gao they were going to use the exact same methods on him. In the years since then, the authorities have widened and perfected their system of bureaucratic control and repression of the legal profession. You argue that rights lawyers have in the past decade created more effective patterns of advocacy to overcome the obstacles they face, oftentimes “pushing outside” the system. What are some of these new mechanisms and what made them so effective? By pushing outside of state constraints, are these lawyers not exacerbating their own marginalization, and if so, what steps have they taken, if any, to mitigate the consequences? Rights lawyers are often seen as being outside of the system, tizhiwai 体制外. But of course they also work with the system. What unites them with other lawyers is their common experience of interacting with a corrupt and in parts very repressive bureaucracy. Generally they start out by working just like any other lawyer, using the institutions of the system. If their client is a criminal suspect in detention, for example, this means trying to meet the client and understand his version of events, studying the official case files, exploring what evidence there was to support their client’s case, and presenting the best possible defense argument on behalf of their client in court. Or if the client is someone fighting eviction by the government, her lawyers will try to get her case heard in court. In trying to perform their professional roles Chinese lawyers are bound to meet serious obstacles. These can be related to corruption as much as to political control. For example, courts refuse to take on cases; criminal defense lawyers are denied access to clients in detention; witnesses for the defense are not heard in court; lawyers are interrupted and/or not listened to in court. The authorities’ unspoken expectation is that lawyers will accept such limitations; that they will learn to navigate this limited system. This may mean taking ‘guidance’ from the authorities in cases deemed ‘sensitive’ but may also involve paying bribes on behalf of their client. For example you might be told to ask for ‘lenient punishment’ on behalf of a client, even though your client wants you to present a ‘not guilty’ defense. When they confront party-state illegality rights, lawyers tend to make different choices from other professional colleagues. Generally, they insist on following legal rules, resist illegal pressure, and refuse to be – indeed given their vulnerable status, they cannot afford to be – corrupt. They expose the flaws of the system, try to put pressure on the officials handling a particular case and call for improvements. Doing so is hard and risky. As mentioned Mr. Gao took a terrible risk and was very badly punished. But he did set an example by drawing attention to the issue of torture and breaking the taboo around Falun Gong; and in years following, more lawyers took on similar cases and presented similar arguments. Today, rights lawyers have many more options for ‘taking the action from inside to outside the courtroom.’ They can, for example, tweet (use social media) to report in real time about an ongoing ‘sensitive’ trial; disseminate images of ‘flash’ demonstrations through the social media; and document state illegality using smartphones and other technology. As they number a few hundred now, rights lawyers also have different ways of networking all across the country, working not only with professional colleagues but also with certain client groups, such as petitioners and other human rights defenders. They still don’t win cases but their advocacy may be able to protect clients from further abuse; and it sends out a political message of resistance to arbitrariness and power abuses in the legal system. Interaction between rights lawyers and their colleagues indicates that what keeps ordinary lawyers apart from rights lawyers is not arguments or major ideological difference so much as it is an attitude of greater caution, and perhaps fear. Having said that, the wider legal profession knows more about rights lawyers than some ten years ago and at least up until the latest, so far worst crackdown, an increasing number of ordinary lawyers has been willing to show support for them. In your book you problematize classifications like “heroic” and “radical” to describe these rights lawyers, arguing that such categories often feed into state efforts to discredit their work. If not heroes, what do you view them as? What are alternative, more practical lenses to view the work being done by these lawyers? We can call them heroes – they do courageous, selfless and inspiring things. But I think we have to be careful with this label. It can become a straightjacket, forcing particular rights lawyers and other human rights defenders into heroic roles we expect them to play even when perhaps they do not want to. And it is also a label that can be used for extraneous purposes, as when politicians in the west scramble to associate themselves with one or another of these ‘heroes,’ to appropriate their image or their cause. The label ‘radical’ is more problematic. As far as I can observe, Chinese rights lawyers called ‘radical’ are simply those the party-state is targeting as its primary enemies among the lawyers – typically, because they are more outspoken and confrontational and less afraid of taking on cases the authorities consider ‘sensitive.’ None of them, in my experience, are proposing anything more shocking than respect for human rights and democracy. But the label ‘radical’ easily suggests that they are immoderate in their demands, that they are somehow suspect. By using this label, we effectively let the Chinese party-state decide what the acceptable – and shrinking – spaces for human rights advocacy are in China. Not a good idea, in my view. The label ‘radical’ can also become a facile excuse for denying support to these lawyers when they are persecuted. This risks compromising important principles and becoming complicit with repression. The recent debate about the American Bar Association (ABA) in China offered a good example of how tricky support for the legal profession in China can become if you develop close ties with party-state-controlled programs. In my book, I noticed how much praise ABA seemed to have for the All China Lawyers Association, which actually plays an instrumental role in ‘disciplining’ and repressing human rights lawyers. In the wake of the 2015 crackdown on rights lawyers, it seems ABA hesitated to condemn the detentions and forced disappearances, simply for fear of disturbing its official programs and activities in China. According to the framework I propose, human rights advocacy is a form of political resistance in a human-rights-hostile environment like China, because the party-state itself does not respect rights. Acts of resistance start small; even just the refusal to shut up when ordered to do so can be an act of resistance, and such small acts can be contagious. I think that this is what the authorities fear. The Chinese government consistently appeals to historical attitudes in framing the dialogue on human rights, arguing that a rights-based approach stems from western political theories and is inconsistent with the Chinese tradition. You argue against this to say that in fact individuated demands for justice have been present throughout China’s history. What have you observed to come to this conclusion, and why is this observation useful in light of what seems to be a stagnant government stance? From your conversations with the lawyers, were you able to gauge whether their inspiration came from western or Chinese sources? The party-state has, as you say, portrayed the Chinese tradition as harmony-loving and opposed to the ‘confrontational’ idea of rights. It points to traditional phrases like ‘valuing harmony’ (和为贵) to claim that complaining and litigating is disruptive and inherently un-Chinese. There is also the argument that because rights discourse first emerged in western countries and the Chinese word for ‘rights’ was a translation created in the 19th century, universal human rights are a western fabrication. I think this is a false and self-serving argument. ‘Harmony’ does not mean graveyard silence; it does not support unprincipled compromise and even less repression. As a moral value it is consistent with the values underpinning human rights. And, in fact, there is plenty of material in China’s history to document the cultural importance of the traditional values of justice and righteousness as virtues all persons, in particular rulers, must strive to practice. Unsurprisingly, the government does not dwell on those aspects when suppressing complaints. It is adulterating its own moral tradition. Popular satire has it perfectly right – when the government deleted what people said online in the name of ‘harmony’ (hexie, 和谐) people called such censorship ‘being harmonized;’ and when the government started censoring the very word ‘harmony’ itself, they used a homonym meaning ‘river crabs’ (hexie, 河蟹 ) to get round this ‘harmonization’ of ‘harmony.’ In other words, they understood that the government was using ‘harmony’ to rationalize repression. What especially caught my eye was how petitioners, fangmin 访民, have been using the traditional vocabulary of shen yuan 伸冤, submitting grievances or complaining about injustice (to the government), to defend their rights, wei quan 维权. They are quite happy to blend the modern and the traditional, the ‘Chinese’ and the ‘western.’ And, while governance in imperial China was in many ways authoritarian, there is no fundamental contradiction between protesting injustice and asserting one’s rights – so what petitioners do makes sense. They draw on the emotional potency of the concept of yuan, ‘injustice,’ yet often they also assert themselves as citizens entitled to the protection of their rights by the state. Of course, for all its traditional flavor, the party-state suppresses those complaining of injustice as much as those who fight for their rights – if not more. Rights lawyers who work with petitioners (as many do) tend also to tap into both the modern and traditional conceptual repositories; but of course, the language of the law today is largely of western origin and so this is what all legal professionals (not only rights lawyers) use most of the time. Then again, in drawing eclectically on western and Chinese sources many Chinese rights lawyers posit themselves within a hundred-year long tradition of Chinese liberalism. A striking example for this is how they use Sun Yat-sen’s theory of separation of powers and blend it with human rights arguments. When I ask them what they think of the argument that ‘rights’ are western or are against the Chinese tradition they usually laugh; they dismiss this argument as another piece of self-serving government jargon. They also point out that their clients have no difficulties believing that they, too, are human beings who deserve respect and protection. From the Marxist-Leninist perspective, law was to be no more than a tool of governance used by the ruling power. You argue that Chinese rights lawyers have definitively moved away from that, and that Chinese legal advocacy is gradually becoming a form of political resistance. What are some of the political discourses perpetuated by these lawyers? I think that really because rights advocacy is turned into resistance by the government. Even just insisting on your right to meet your client in detention may require you to talk back to the official who denies you access; it may lead you to demonstrate for that right in front of a court building. In doing so, you resist. Later on, as rights lawyers are forced to reflect on the connection between the failures of the legal system and the wider political environment, they come up with more explicitly political messages. The most important of these is that law has real moral force – that it imposes genuine limitations on the power of the government. This is contrary to Marxist-Leninist orthodoxy, according to which liberal laws might deceive people into thinking it protected them in the capitalist society. All other messages flow from this basic position – public power is only legitimate if it respects and protects basic rights. Mostly lawyers call for more transparent government, free speech, a self-governed and autonomous legal profession, and an independent judiciary. As they realize that these things are impossible without political change, they also question the legitimacy of the Chinese Communist Party and argue that human rights protection is impossible without a more democratic system. What are the dominant trends among the Chinese society’s reaction to the rights lawyers? Does the concept of ‘human rights’ carry much traction with the average Chinese? I think that like in other countries we would need to differentiate between citizens who have confronted government abuse and rights violations, and those who have not. What rights lawyers have told me suggests that the people who form their usual clientele have become more rights-conscious over the past one or two decades. Several narratives from the late 1990s were about clients who didn’t know what ‘torture’ (xingxun bigong 刑讯逼供 or kuxing 酷刑) meant, for example; who might have no idea at all that the law prohibited beating criminal suspects. Today more ordinary people seem to be aware of their rights. With regard to the wider population, I am not sure. Perhaps ‘human rights’ today carries as much traction with the average Chinese as it does with the average Briton or American; but how much is that? It is especially hard to tell in China, not only because the opportunities for research that might help answer this question are limited but also because of censorship and limited information available to Chinese citizens. The government censors media reporting bad news about itself. It has also publicly denounced rights lawyers and human rights themselves as tools of western infiltration under the name of ‘so-called universal values.’ But then again it continues to use ‘human rights’ in a positive way on some occasions. And, obviously the Internet has diversified the sources of information available to ordinary citizens. I imagine that Chinese citizens have been receiving mixed messages and it is not easy to figure out how they respond to that. How do you assess the progress of a top-down, controlled and incremental rule of law reform in China today? Do you see any hope for the reduction of repression in light of recent legislative reforms that have moved in the direction of increased liberalization? What about President Xi Jinping’s announcement to establish a “rule of law” by 2020? The hope of incremental liberalization through top-down legal reforms was extremely important in the post-Mao era but today, in my view, it is very nearly dead. Under Xi Jinping especially, the law has been changed to accommodate rather than curb power abuses. Law is not seen as imposing limits on the power of the government; rather, it is an expression of the power of the ruling Party, including ruthless power to control its own bureaucracy. This is not to deny, of course, that there are occasional welcome changes, for example, the decision to abolish the feared “re-education through labor” system in 2013. But such changes generally look better on paper than in reality and do not address the central challenge of power abuse. For example, the government continues to lock people up under numerous forms of detention without due – or simply without any – legal process. The Party’s vision for 2020 is therefore Party rule by law, at best – legal rules used when it serves power-holders, and disregarded when it does not. And, the Party keeps widening the circles of people it targets. It has turned on itself through the ‘anti-corruption’ campaign and it is going after more and more groups in civil society, treating human rights advocates, especially, as enemies. Starting with the detention of Lawyer Wang Yu, her husband and sixteen-year old son in the night of July 9, 2015, there has been an unprecedented crackdown on rights lawyers. Most recently, this widening crackdown has also affected labor activists; and repression is now expanding beyond China’s borders. It is a sad but apt illustration of the more repressive, dual-state system the leadership wants to create. U.S. CECC annual report and China's own human rights action plan showcase starkly different concepts of "human rights."